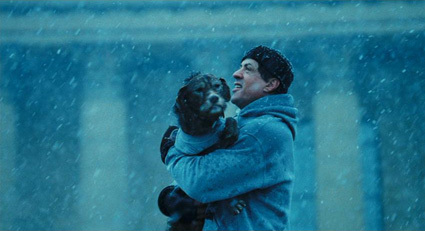 Good things happen in the extra mile, just ask Rocky Balboa. I’m sure we’ve all heard the phrase, “go the extra mile.” Well there’s a reason why people say it. Good things happen in the extra mile, when you put that extra bit of work in, no matter what we’re talking about; whether it be our careers, with our families, girlfriends, boyfriends, and of course, in our training. Successful people in any area of life are always the ones who put the most quality work into what they’re working towards. If you want a better family life, spend more quality time with your family. Go that extra mile in the stuff you care about, and in the dreams you’re trying to make a reality. I used to spend a lot of time in the gym, but I was doing all the wrong stuff. I spent at least double the amount of time working out before, than I do now, but I’m getting infinitely better results now, spending less time training, doing the right things at the highest level possible. 1. I worked out fewer times each week, allowing my body more recovery time to repair the muscle I’ve broken down during exercise. 2. Upped the intensity of my workouts by adding different set and rep combinations. 3. Started paying more attention to the clock. This meant being exact with my rest periods, but also timing sets from time to time. When I started really making positive strides in the weight room, I was still boxing, and wasn’t actually trying to add weight but rather pack as much muscle into my fighting weight as possible. As I began adding some size for the first time in my life I just ran with it. The muscle mass was all lean, I lean throughout my weight gain right up to my goal of 32 pounds. 4. I actually shortened my workouts, upping the intensity and the quality of each session. Quality workouts were one of the greatest factors in my turn around. 5. I took breaks and rewarded myself. Just like my workouts – short, intense, and focused sessions – I’d train for short periods, taking a break every 12 weeks. After those 12 weeks I’d reward myself by going on a trip. This helped my work and my workouts. As soon as I’d get back from a mini-vacation I’d be ready to work at a high level again. If you just work non-stop the intensity can die off. Quality training, and quality work out-does simple quality any day. If you have a dream, an end goal, a place you want to get to in the future, discipline and hard work need to be a part of the equation. What’ll get you to your destination faster: walking in a zig-zag pattern, or walking in a straight line? The more direct your path is the faster you’ll reach your goal. Find the right map (ie. a program or a plan) then put it into action and get the body, the life, or career of you deserve. What was the biggest factor in your eventual success? How many day’s are you working out each week? Is it working?